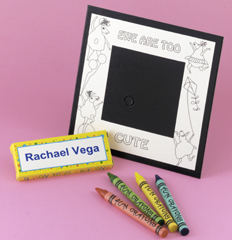 Currently out of Stock Another view of this EWEnique coloring frame. Great for party favors, sleep overs and family photos. Sold in sets only. Approx. 5 1/2 x 5 1/2 inches.